Are Exam Scribes for SEN Students Necessary? Assistive Software is permissible for use in exams. “The school got WordQ on our daughter’s laptop. She started saying, ‘I’m writing like a pro’ and she actually was! Why wasn’t this software provided to her years ago? After years of struggling to write and being left out she was putting her words down and doing well. It came just in time for her GCSE exams and she passed, which we didn’t think would happen. So yes we like this software.” Lyse, Mother. From September 2015, assistive software is permissible for use in both GCSE and GCE A Level exams (Joint Council for Qualifications, 2015). What Software is allowed in Exams? Many schools use WordQ to support day to day literacy. It is a preferable alternative to scribes in exams, improving independence, educational inclusion and students’ marks, as well as contributing to improved OFSTED literacy ratings. Students get the opportunity to be independent and self-sufficient, rather than depend on exam scribes which will not be available to them as they move forward in life. Assistive software has been successfully used in Scotland for many years. You can find more information here. 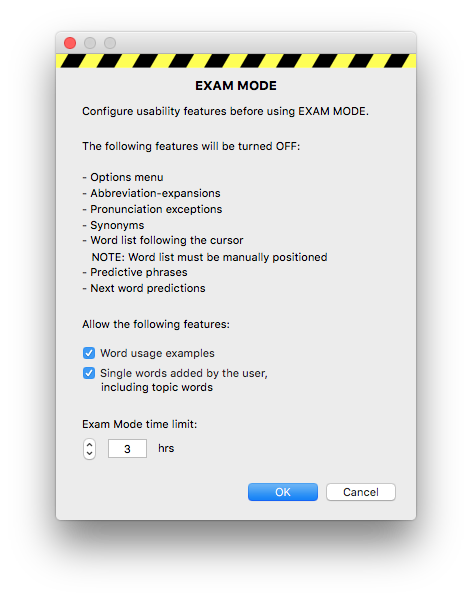 WordQ saves time and money spent on exam scribes/readers. For example, just three students taking four exams will pay for a WordQ site licence*. A site license lasts forever and is a one-off payment and includes ‘home access’ so pupils can use the software at home. Furthermore WordQ will assist with general education providing effective reading and writing support for all, and massive benefits for those studying French, Spanish and German. Contact us for more information on 020 3519 8000. Joint Council for Qualifications, (2015), “Access arrangements and reasonable adjustments”. Download. *Site license can be used by unlimited number of students.